The UKS10 from Ibanez is a soprano ukulele with mahogany top, back, sides, and neck, and an open-pore natural finish. The instrument offers a rich, textured tone with sweet top end. 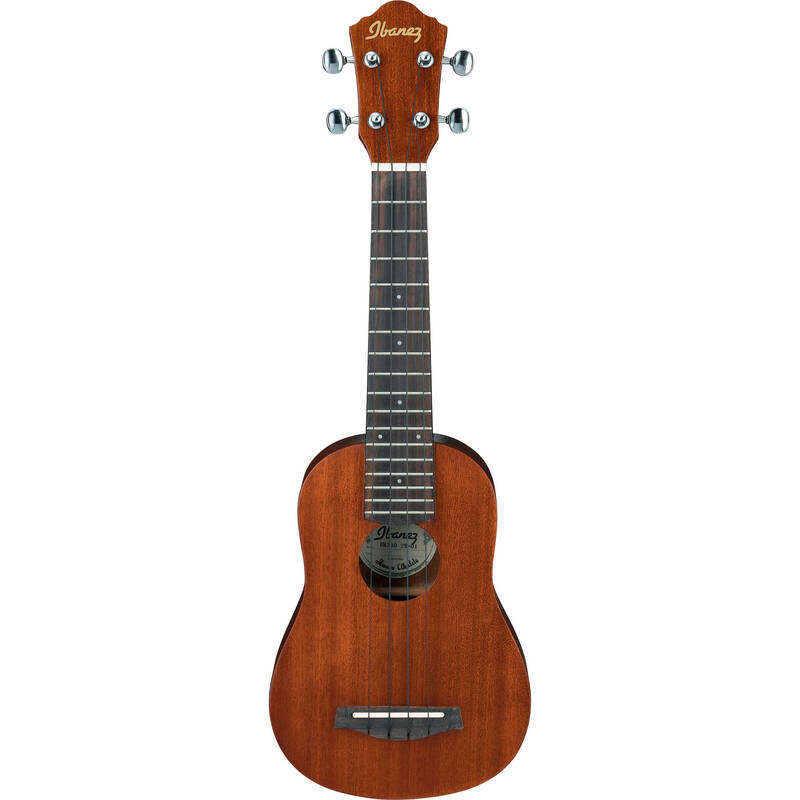 Other features include chrome open gear tuners and a rosewood fingerboard and bridge. The instrument ships with a padded gig bag. Box Dimensions (LxWxH) 22.3 x 8.6 x 3.6"